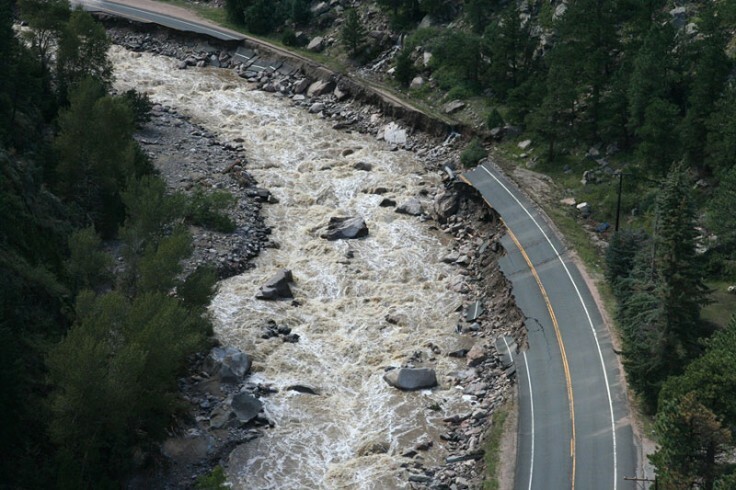 The US 34 Flood Recovery Project consisted of reconstructing U.S. 34 through the Big Thompson Canyon. The reconstruction was made necessary due to the massive and devastating 2013 flood. After two eight-month spans of long-term closures and limited access, the roads re-opening this coming Thursday, May 24th, finally offered a measure of relief to many who have been long awaiting the projects end. The ceremonial opening marked the near end of a $280 million reconstruction of the highway that not only severed the busy route between Loveland and Estes Park and on to Rocky Mountain National Park, but also limited the times that locals could venture out of the canyon. Why has the road been closed? At 4 p.m. on Thursday, May 24, CDOT will re-open US 34 through the Big Thompson Canyon between Loveland and Estes Park to all traffic—marking the end of all long-term closures on a highway that has undergone major reconstruction since July 2016. Although the heavy lifting is complete, the final touches still need to be completed throughout the corridor. Construction will continue in the canyon this summer and throughout the fall. Drivers could encounter up to 20-minute delays this summer for paving. During the summer, there will be limited, nighttime closures of the road to allow bridge girders to be set for four new access bridges. Project completion is scheduled for December 2018.